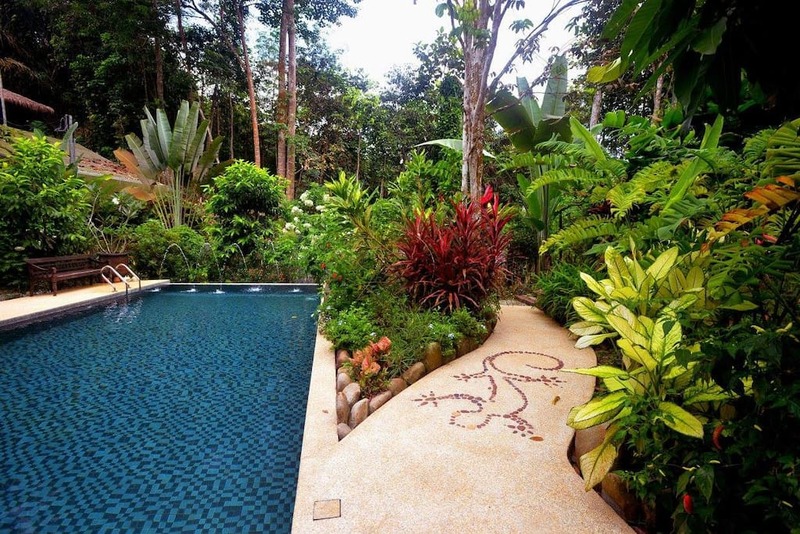 Fresh air, a starry sky, and the jungle as your backyard. 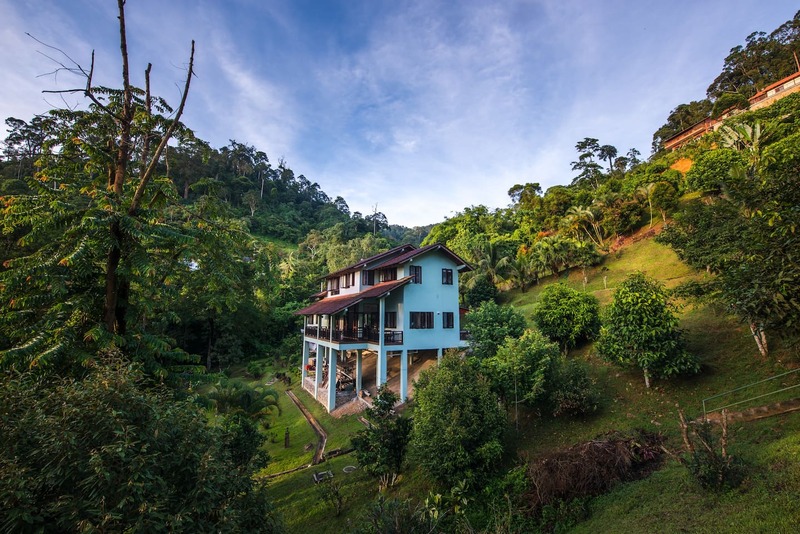 Sitting at the edge of the Berembun Forest Reserve is Spyder Hill, an idyllic home with a spectacular mountain view. 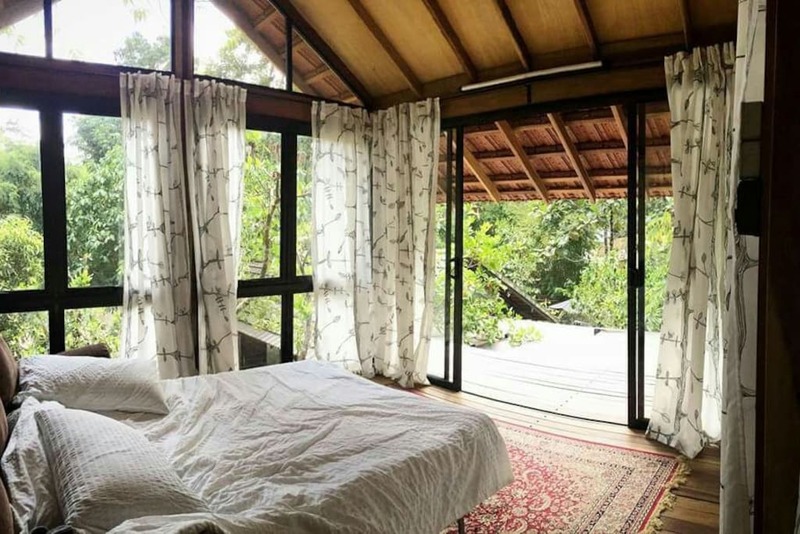 Whether it's having a picnic by the stream, lying on a hammock to the sound of chirping birds, or enjoying the starry sky from the private balcony, this villa provides plenty of ways to be one with nature. 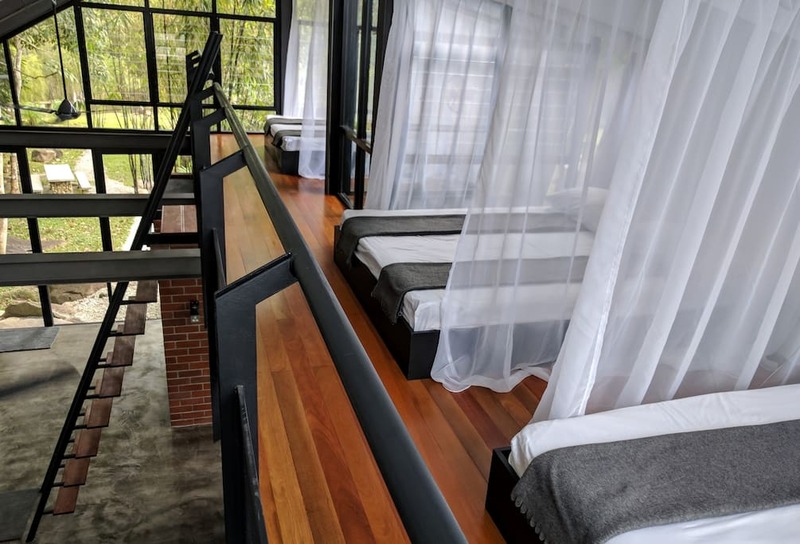 The two private rooms available to be rented out at Spyder Hill can fit six people comfortably, making it the perfect destination for a close-knit group getaway! 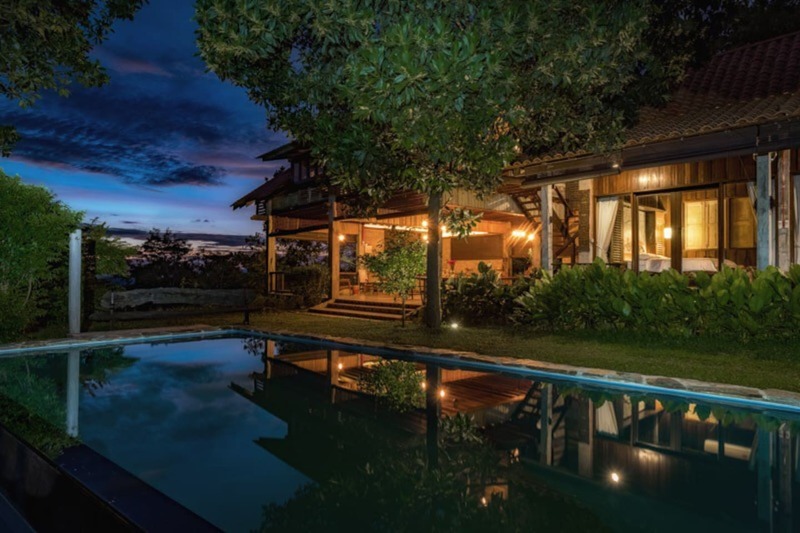 Nothing says 'tranquil' more like this gem of a villa hidden in 4,000 acres of virgin forest reserve. 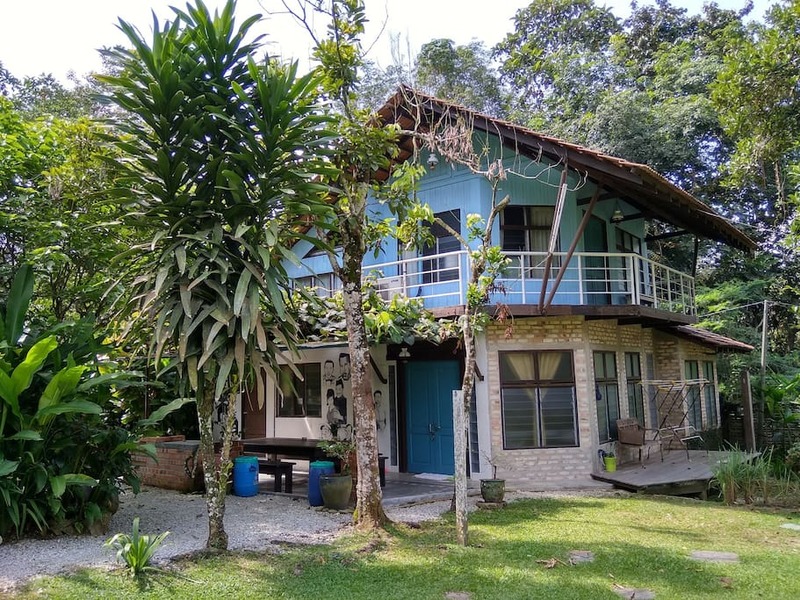 Selepas Hujan offers everything you would need for a weekend retreat with friends or family - fresh air, a salt water pool to swim in, a view of mountains through morning mist, and lots of room (with a maximum capacity of 12 people). 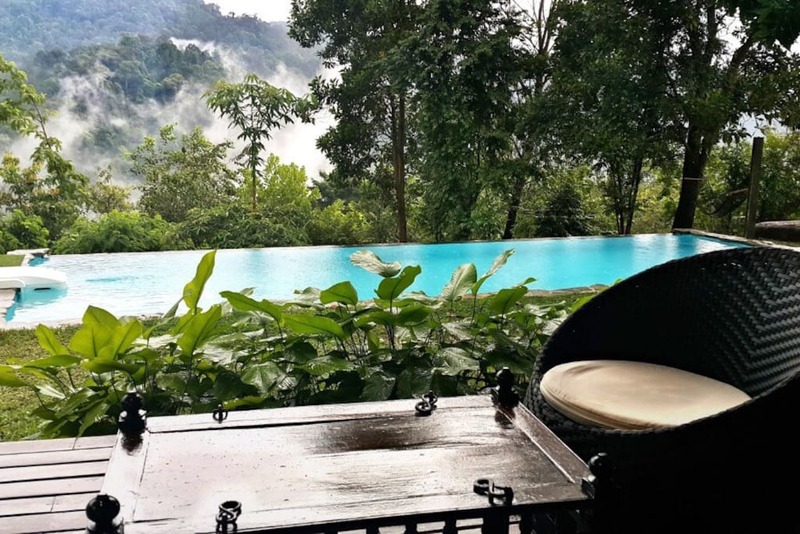 Guests can cook and barbecue for themselves or opt for catering, which is serviced by the nearby Orang Asli community highly recommended in the villa's reviews section! Here's one for the animal lovers! 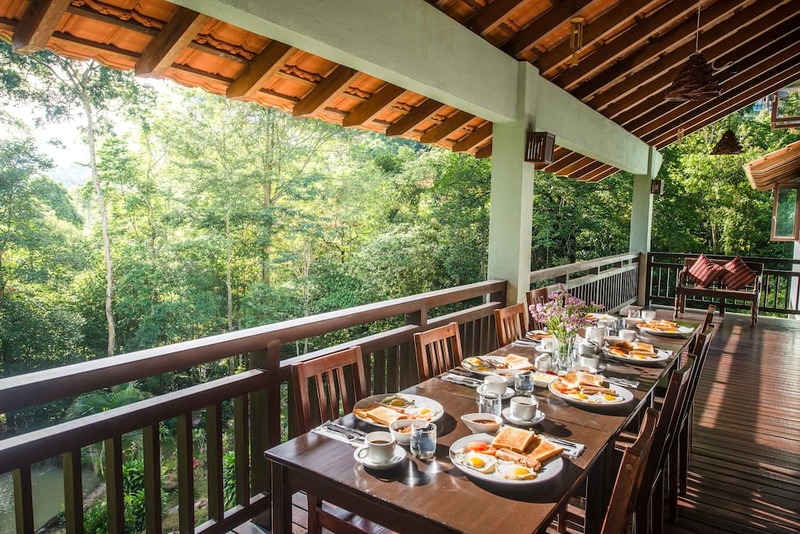 At Tanah Larwina Retreat, guests are surrounded by lush greenery, a cascading stream, and some seriously adorable companions. 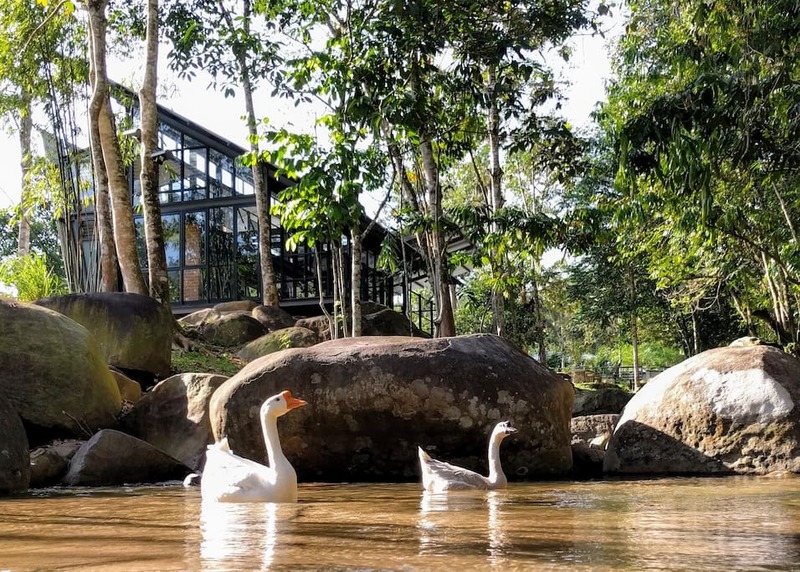 This charming three-acre orchard and animal farm is home to ducks, horses, chickens, goats, and geese - they roam freely around the modern-designed pods, which can accommodate up to 16 guests. 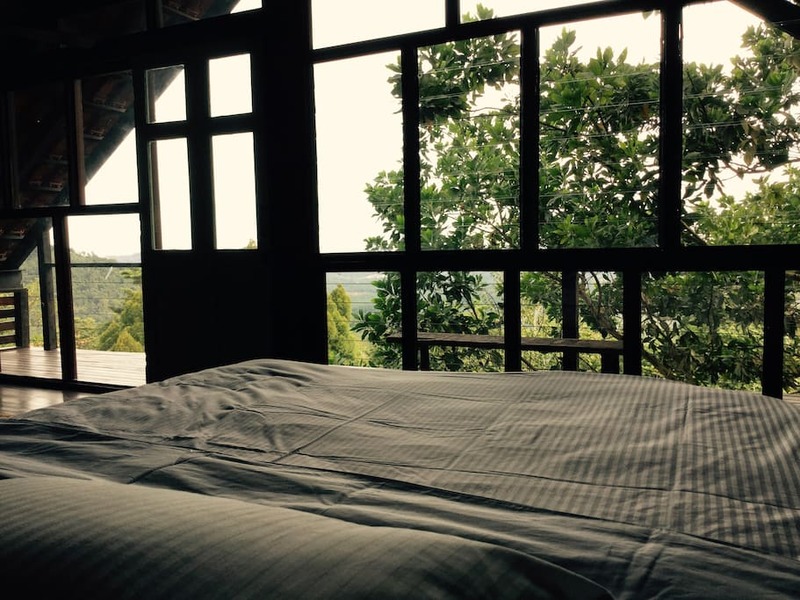 With no TV and weak Internet and phone signals, be prepared for a digital detox - which may be just what you need for a truly relaxing escape from the hustle and bustle of city life! 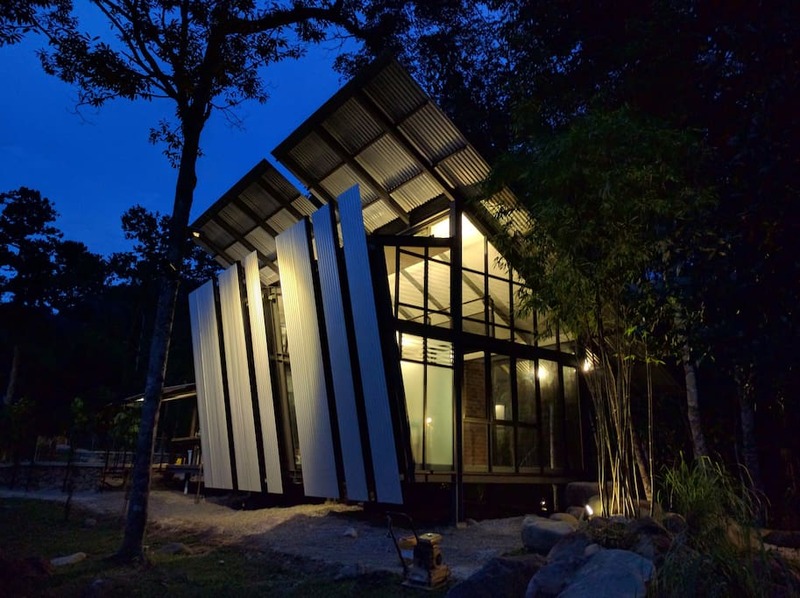 Nestled in the rainforests of Janda Baik, a 40-minute drive from KL, is this peaceful and homey property built with unwinding in mind. 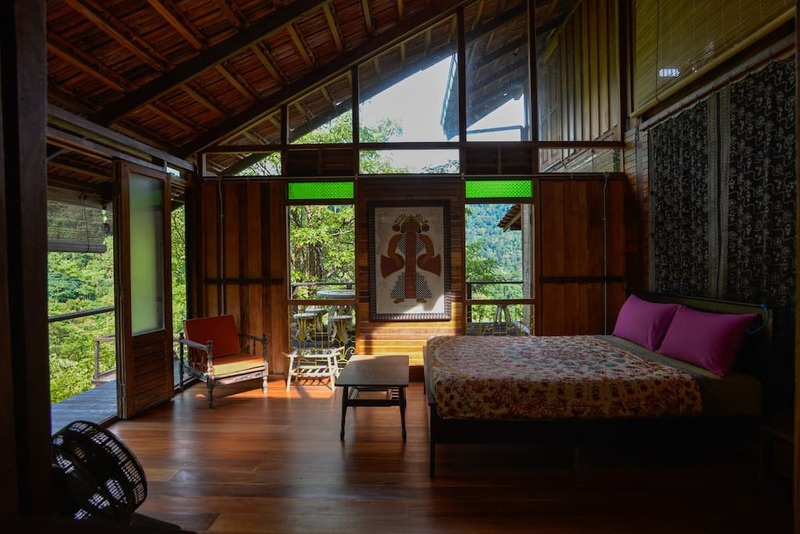 If a wooden verandah overlooking lush greenery wasn't enough to completely calm your senses, the chorus of jungle monkeys and the call of the hornbill will. 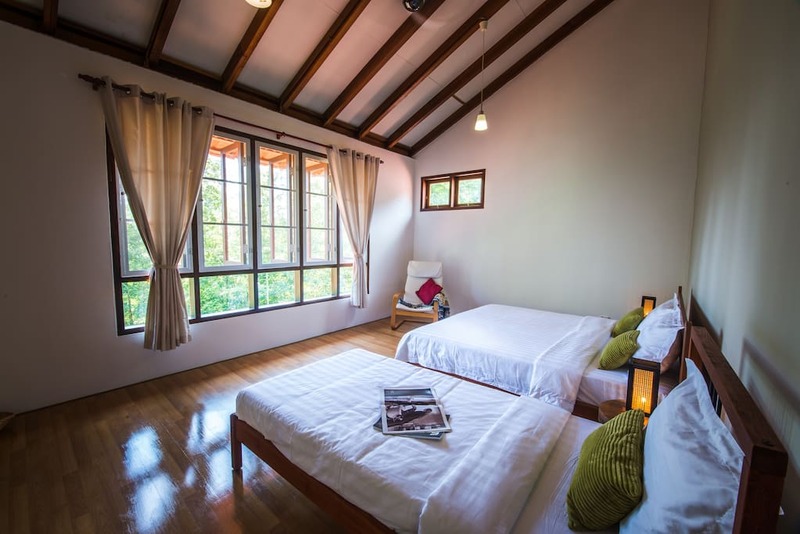 While the home comfortably sleeps 15 guests, a maximum of 20 people are allowed to stay in its seven bedrooms - so, the more the merrier! 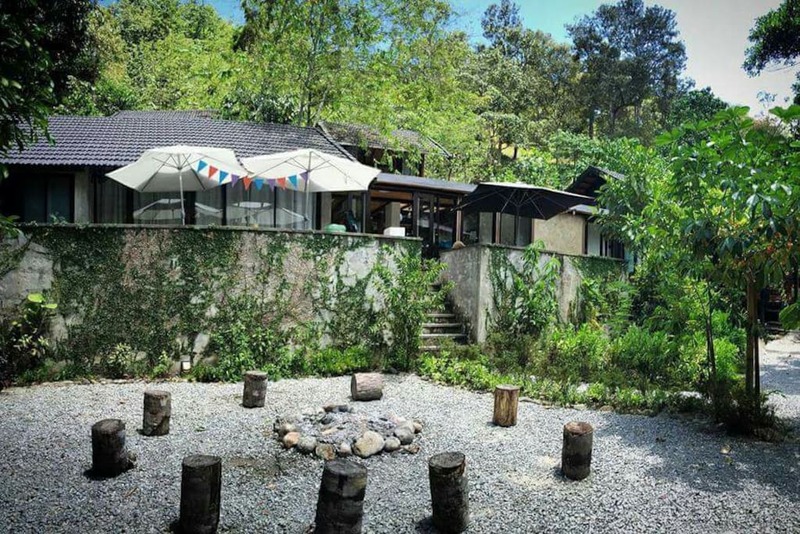 Just 45 minutes from KL, RumahKebun is the perfect setting for a quick and easy family-filled weekend. 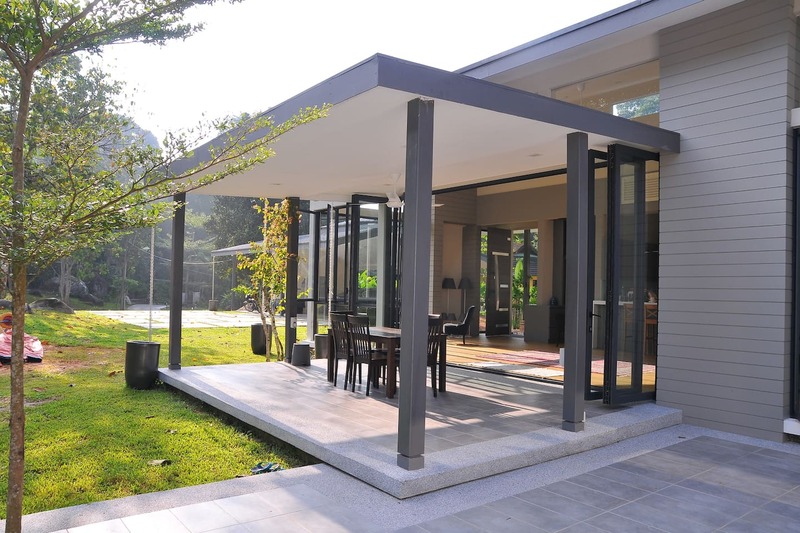 Fitting 16 guests and with a huge outdoor area, this spacious villa is bound to be a hit with kids and adults alike. 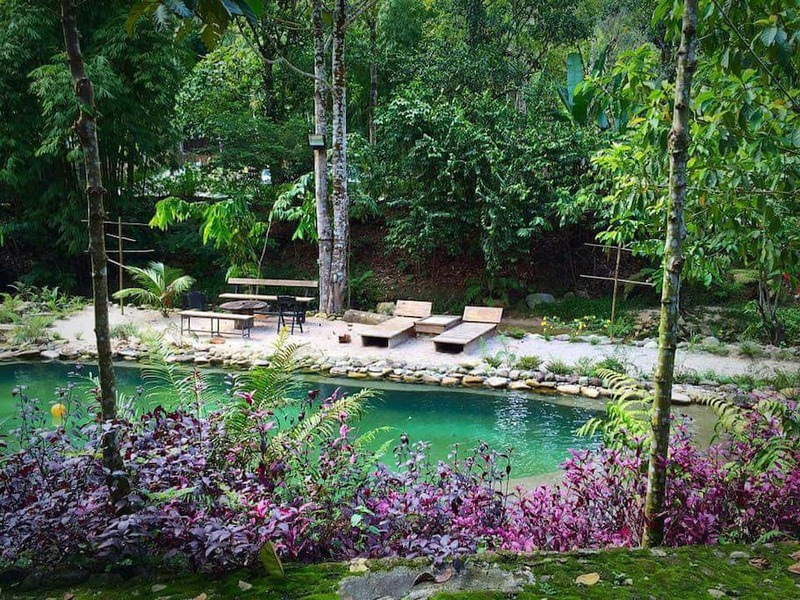 For a fun afternoon activity, you can choose to soak in the sun by the pool or venture to the nearby Semungkis river for a refreshing dip. 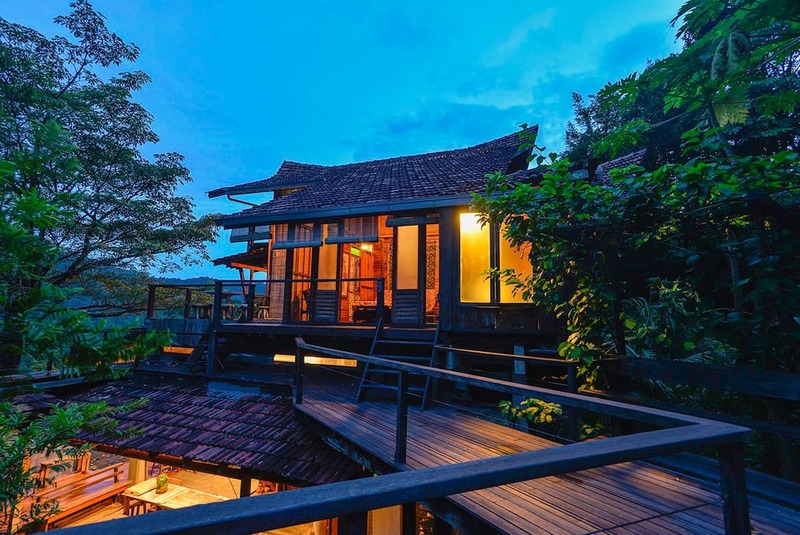 Nature lovers who crave a taste of the kampung life will thoroughly enjoy The Blue House. 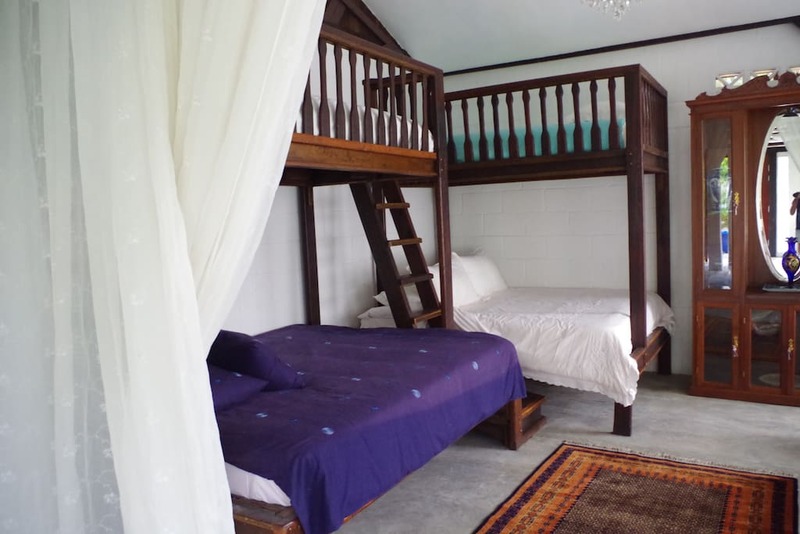 Something about its stone pathways, rooms with bunkbeds (fitting 11 guests), and classic decor will make you nostalgic for a simpler time in your life. The tour of the goat's farm, where the livestock gaze freely, and milking parlour is an activity highly recommended by past guests. In addition to being fun and informative for all ages, the fresh goat milk is said to be delicious! 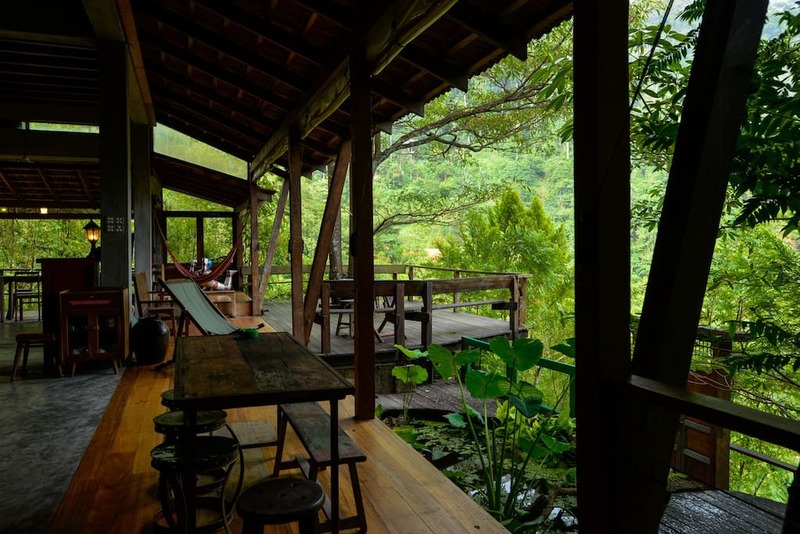 If you're looking to be surrounded by nature while sitting in comfort, here's your answer. 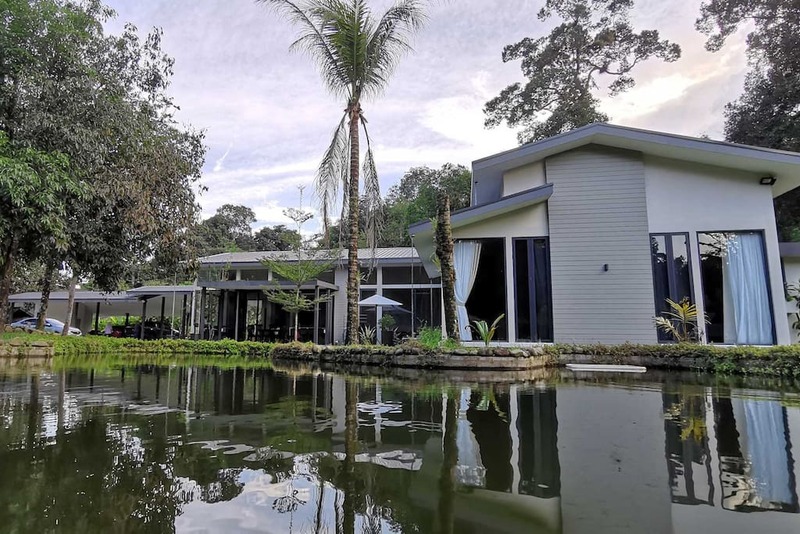 This private glass villa situated in a picturesque hillside is surrounded by greenery, with a fish pond in its backyard and an orchard with an array of fruits like durian, mangosteen, rambutan, and bananas to pick from. However, there is still an element of luxury to Nouri villa - with room for 16 guests, enveloping glass walls, and a jacuzzi to relax in. City slickers can rest easy while enjoying the outdoors.